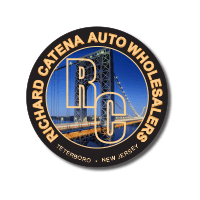 Here at Richard Catena Auto Wholesalers, we’re committed to helping you enjoy a comprehensive and convenient auto shopping experience. We know that it can be overwhelming trying to figure out the best financing option to fit your budget and needs, but with our team of financing experts here at our dealership, we make it easier than ever for everyone to find the vehicles and pricing options that are right for them. Whether you’ve browsed through our wide selection of used vehicles and found the one that’s right for you or you want to learn more about your options based on what you’re trying to spend, we encourage you to take advantage of our quick and convenient financing tools or welcome you to come see us with any questions today! The best way to get the auto financing ball rolling is to take a few minutes and fill out our finance application. Our finance application is designed to streamline your auto financing process and allow you to easily gain the information you need about financing options to make the best decision about which vehicle is the right fit for you. You’ll instantly receive a number of results from local lenders and banks which can then be personalized specifically for you when you come talk to a member of our financing team. We’ll work with you to figure out the best option and have you driving back home in your dream vehicle in no time! We welcome you to come see us today with any questions or concerns you may have regarding any of our pre-owned vehicles or the financing process as a whole. Our dealership is located right in Teterboro, NJ and we proudly serve drivers from all over Newark, Hackensack, Passaic, and North Bergen, NJ!